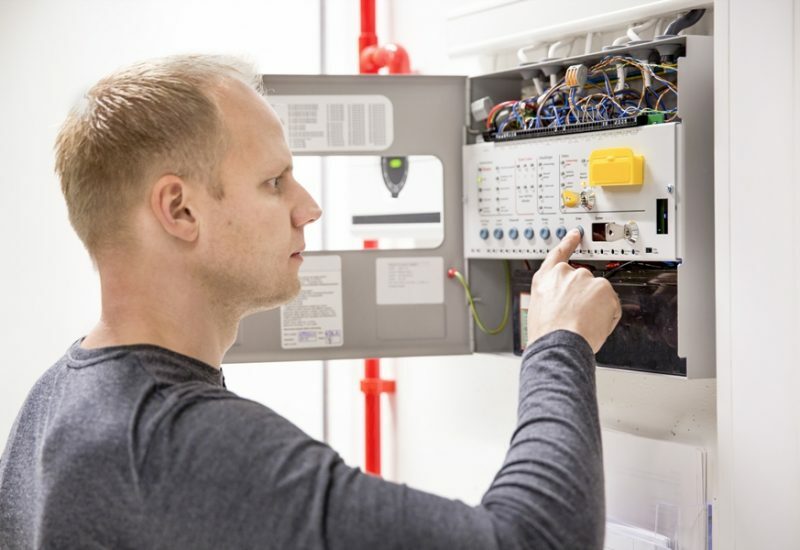 Fire system installations have come a long way from what they used to be, even up until five years ago. The current systems are highly-sensitive but there isn’t a risk of your entire home being covered with water only because you overheated something on the gas stove. Not only are modern day systems smart, but they are specifically designed to significantly reduce fire, smoke and water-related damage to your property. In many cases, these systems become the first line of defense in case of a fire breakout in unoccupied areas. Even in situations where the fire department is alerted, the sprinkler fire system ejects small amounts of water at an interval of 1-4 minutes. This helps reduce the intensity of the flames to a certain degree and can also prevent the spread of fire. This is what makes an automatic fire system a crucial feature on commercial properties. Pre-action: These systems are air-filled and water passes through them when the smoke detector/alarm goes off. It needs two different triggers to get the water flowing and significantly reduces the flames. You can also set this system so that the water doesn’t get emitted in case of a mechanical failure or a false alarm. It is ideal for settings where a sprinkler system is needed only in the case of an actual fire so that none of the items and features on the property becomes damaged by the water. Some of the places that pre-action sprinklers can be used in include data centers and libraries etc. Deluge: A deluge system also requires a heat/smoke detector, just like the pre-action system does. It has open nozzles which can be utilized in case of a fire situation. When a flammable liquid spreads in different areas of a structure, it’s good to have a deluge system in place; this is why complexes housing inflammable liquid storage tanks as well as industrial parks have these systems installed. Dry Pipe: These sprinklers are quite similar to pre-action installations. They utilize pressurized air within the pipe which gets emitted before the water escapes. This working results in a slight delay in the discharge of water but is suitable for buildings that have lower temperatures. The systems have an opening tool that quickly gets rid of the air and speeds up the water-flow. Wet Pipe: A wet pipe fire system always has water in it; this means the reaction is very quick in case of a fire. These are the most commonly used fire systems in office and high rise buildings. Not only are they easy to maintain, but they are cost-efficient too. As you can see, there are a number of different fire systems to choose from and it’s best to consult experts before making a final decision. Ask professionals about the fire system you need. For any information on the types of fire systems, we at Les Gicleurs Acmé can provide, feel free to call at these numbers- 450 655‑9820 / 1‑800‑963‑9820. You can also request a free quote via this form on our website or send queries via this online form.